Early radio transmissions inspired wonder. It seemed extraordinary that communication could be achieved without wires, by sending messages through thin air. 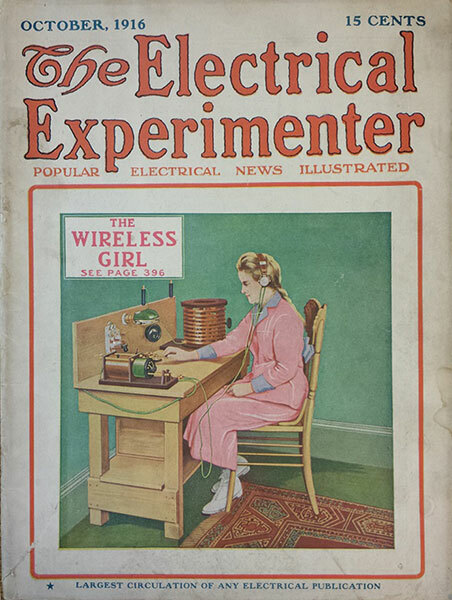 Enthusiastic amateurs were quick to try this new technology: in Britain the Post Office first issued wireless licenses in 1904. Amateur “radio hams” banded together to form clubs where keen members could share knowledge and organise competitions. During World War One, amateur radio sets were “sealed up” and taken away for security reasons. Afterwards the world of radio dramatically expanded with the introduction of wireless broadcasting. Commercially-produced radio sets catered to a new audience of listeners without technical expertise. But amateur radio operators did not disappear: there remain active societies and individuals all over the world.